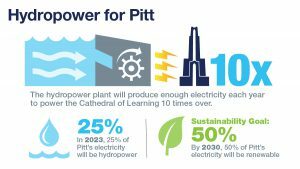 Allegheny River hydroelectric plant will supply 25% of campus electricity needs, advance renewable energy and emissions reduction goals. 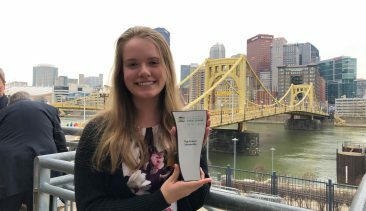 The University of Pittsburgh’s first major commitment to renewable energy will utilize the Allegheny River as the source of clean, local and long-term electricity for the campus. 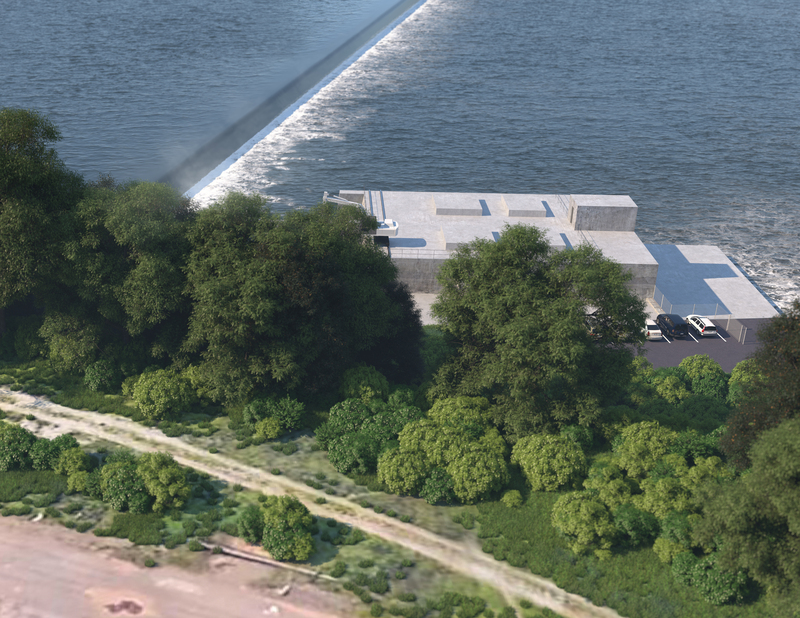 Pitt has signed a letter of intent with Rye Development, LLC to purchase 100 percent of the power from a low-impact hydroelectric power plant to be built at the existing Allegheny Lock and Dam No. 2, just below the Highland Park Bridge less than five miles from campus. Expected to open in 2022, the facility will supply about 50,000 megawatt hours of power per year, which equates to 25 percent of electricity on the Pittsburgh campus. 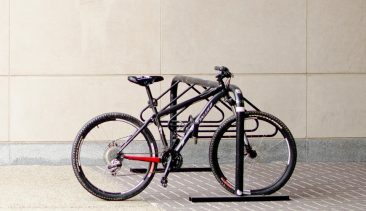 This investment will help Pitt to achieve its Sustainability Plan goal of 50 percent renewable energy for the campus by 2030, said Greg Scott, Pitt’s senior vice chancellor for business and operations. 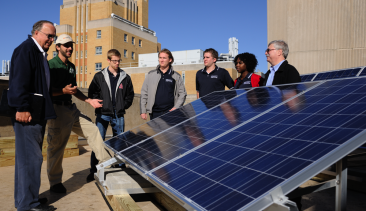 “As a research institution and community partner, we are committed to leading by example with sustainable practices that will help future generations thrive in a world that is environmentally responsible, socially equitable and economically robust,” Scott said. Pitt also plans to use the hydropower facility as an outlet for research and learning opportunities.